Every morning, the fine folks at Sports Radio Interviews sift through the a.m. drive-time chatter to bring you the best interviews with coaches, players, and personalities across the sports landscape. 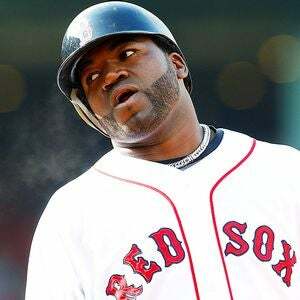 Today: Papi stands up for the Red Sox who tried. David Ortiz joined WEEI in Boston with Sports Saturday to discuss what has bothered him most about how the past couple weeks have gone down, players caring down the stretch, complaining about an RBI that was taken away in early August, how he was surprised Terry Francona was let go and whether he thinks he'll be back next year. "What bothers me the most is how a lot of people have just been pointing out a lot of guys I really care about. I know that we didn't finish the way a lot of people were expecting us, but there was a lot of guys that care. Even the guys that struggle, they care, too. It's not like they don't care. It just didn't end the way we wanted." "Probably, yeah. It probably happened, but seeing [that] … as an owner and manager of the team, you keep that in mind for yourself. … You guys know the guys who care. That's the thing. People know. What bothers me the most is whenever makes it want to sound like nobody cares. There's a lot of guys that care. … I care about winning games, I care about doing well, I care about doing the right thing to win games. … A lot of people, for example, people want to make a big deal about me complaining about me not getting an RBI. That's my job. If I don't get RBIs, I won't be here. I was complaining about something that I earned and the scorekeeper doesn't want to make it happen … that's what I've got to complain about." "To be honest with you, I don't even know what Francona was doing there. I don't know what's going on there. To be honest, I was surprised. … I was fired up, to be honest with you. Because I just found out, once I got to the field, I went to watch video. … I was walking through the room, saw what was going on and said, ‘I need to talk to you when you're finished.' Ya'll guys make a big deal about it, of course. You were in the middle of a press conference, that's fine, my bad. But you guys take everything the wrong way." "I was a little surprised about the situation. I know they were going to make some moves, make some things different, but I never said that. … They've got their reasons and they're the one who made the decisions. … In my situation, I'm just here to listen and see the way things go down. That was the last thing, to be honest, that I was expecting." "I haven't really think about anything. I'm getting together with my agent pretty soon. All I can tell you is I put myself together, I work out every day, just to make sure I keep on producing in this game. What motivates me is when I have people around me that appreciate what I do … and not only me, but people in general." "I just wasn't ready to go home. … I just wasn't ready. I was ready to keep on playing and things went down that way and I didn't really know what to think about it." • John Madden and Tom Flores remember Al Davis. • Robin Ventura is just as surprised as you are. • Tom Brady thinks the Pats can play a lot better than they did yesterday.